Invisible Analysis: INDIA IN GULF'S LADDER OF INVESTMENTS. INDIA IN GULF'S LADDER OF INVESTMENTS. BRIC countries have always remained a favored destination for doing investments and getting good returns other that any other investments. Each day we hear a word called FII’s. They are the ones who make the stock market climb new heights. In this article of mine I will try to describe and bring forward one the FII’s who one of the major investor in BRIC economies. The have huge wealth which gets accumulated year after year and we are among their most favorite destination once the BRIC economies started making a turn around to the World economies. Very recently we heard the name of DUBAI panic. By the time I write this I hope my readers are well acquainted with the fiasco that happened on Friday. A BRIC economy has always remained a hot destination for investments. 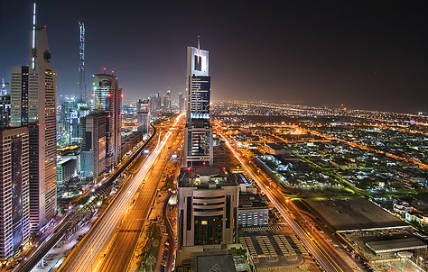 DUBAI, UAE and Gulf countries does investments via Sovereign Wealth Fund – SWF. What is sovereign wealth fund ? A sovereign wealth fund (SWF) is a state-owned investment fund composed of financial assets such as stocks, bonds, property, precious metals or other financial instruments. Sovereign wealth funds invest globally. Some countries have created SWFs to diversify their revenue streams. For example, the United Arab Emirates (UAE) relies on oil exports for its wealth; therefore, it devotes a portion of its reserves to an SWF that invests in other types of assets that can act as a shield against oil-related risk. Sovereign wealth funds are nothing new, but they are growing larger. Dubai, UAE and the entire Gulf countries has a huge accumulation of sovereign wealth fund.  They emerged in the 1970s in oil-producing emirates, such as Kuwait and Abu Dhabi, as a way to accumulate current account and budget surpluses during the oil boom. Now, Abu Dhabi boasts the largest fund, sized at $600-700 billion, and other countries have followed its lead.  Since 2003, oil producing states have reaped a revenue windfall. As oil increased from $27.69 per barrel on average in 2003 to as much as $79 per barrel in 2006.  Saudi Arabia, for example, saw its gross domestic product (GDP) increase by well over $130 billion over that time period, and the United Arab Emirates took home more than an additional $80 billion.  Such revenues have generated enormous liquidity among the Gulf Cooperation Council (GCC) states—Bahrain, Kuwait, Oman, Qatar, Saudi Arabia, and the United Arab Emirates—and created unprecedented opportunities for large-scale overseas investments. The amount of money in these SWF is substantial.  Norway established a fund for its excess oil incomes in 1990.  Singapore has accumulated two large funds that, unusually, are not based on oil income.  And more recently, China and Russia have instituted large sovereign wealth funds of their own.  Today, such funds hold as much as $2.5 trillion in assets. Estimated assets under management by a range of sovereign funds at the end of 2007.The image below. A rapid rise in the price of major commodities between 2000 and 2008 greatly increased the cash holdings of some exporting countries, enabling them to seek new ways to diversify their wealth. AnotherOne of the prime reasons for building such reserves of sovereign wealth fund is not getting return from other non oil investment avenues like commodities. So they have built reserves where they can invest in emerging economies. All these investments in the past have been made in other emerging economies but recently they have turned their heads towards BRIC economies. How much India got investments out of the BRIC economies?  An internal and yet unconfirmed government estimate has recently suggested that the UAE has invested around $4.5 billion (Dh16.5 billion) in India in the past few months.  Several companies from the Arab world are now active in India.  According to a recent survey by the Federation of Indian Chambers of Commerce and Industry of India (FICCI), a leading trade body, total trade between India and the Arab countries (including the Gulf) stood at around $102 billion in 2007-08. In the next ten years it is expected to increase by around five times this figure.  In 2007-08 India’s trade with Bahrain grew by 65%, with Egypt by 35%, with Syria by 42% and with Kuwait by 27%.  Even Kuwaiti investors, geographically slightly further removed, have named India as the country of their choice.  The Indian government has even entered into an understanding with Saudi Arabia and Oman to set up investment funds of $500 million and $100 million respectively. Sovereign wealth funds from Kuwait, Qatar and the UAE are poised to pour billions of dollars into the markets of Brazil, Russia, India and China next year as they seek to tap into the BRIC countries explosive economic growth. SWFs will invest more into industrial companies, sizable companies with global footprint like car manufacturers, consumer products, and transportation. sectors. Another point is the Gulf as a key contributor in India’s development. Last year 2008 record oil prices and windfall revenues have driven cash rich Arab investors to park billions of dollars in industry. A number of investment and development companies of UAE and Arab countries along with Dubai have been developed by the Gulf governments to explore investment avenues both at home and abroad either through direct acquisitions, joint ventures or private equities. Among all these India is on the prime list. FDIs to India from the Gulf have increased over the past couple of years, with both institutional and private investments in some projects, particularly by investors from Dubai Emirate. Few of them are Emaar Properties, Dubai Holding, Dubai Aluminium Company, Dubai Internet City and Dubai Ports are some of the major players with projects under process in India at present. 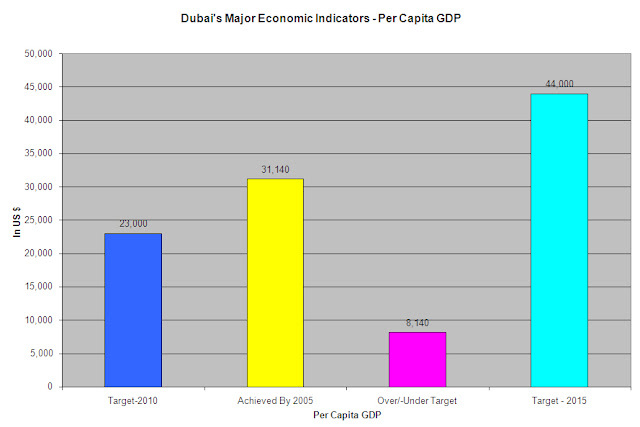 Below is the data of GDP of Dubai. At the end I would like to add that if Dubai goes for tailspin in its finance activities the world remain at a huge threat, More over India remains at the high end of the risk. Where the tide of risk lies from Dubai ?  After bailout Dubai have to sell assets, since no earnings from sell of costly properties. This debt will be cleared by shedding off the investments from Sovereign Wealth Fund. Financial time bombs are present and are about to shake the world economies in the coming days. Earning money online never been this easy and transparent. You would find great tips on how to make that dream amount every month. So go ahead and click here for more details and open floodgates to your online income. All the best. INDIAN BANKING MAKES US JEALOUS. I HAVE CHEAP MONEY-WHAT TO DO WITH IT? SILVER-MAKE HAY WHEN THE SUN SHINES. WHERE US ECONOMY IS HEADING?